Paul Blomfield, a local Sheffield MP, has recently written an article for the Yorkshire Post entitled “Tour fires starting gun for a cycling revolution”, a reference to the news that the Tour De France will be vising Yorkshire in 2014 for the Grand Depart. This is excellent news and seems to have been well received, I’m really hopeful that the tour coming back to England, along with all the recent positive (and negative) press cycling has been getting will help to increase the number of people using bicycles. Paul says that cycling has seen huge growth in Sheffield over the past decade and that a long term aim should be that cycling should be considered for all new road schemes, a view that I strongly support and have previously stated here. 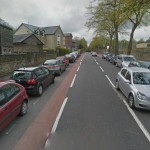 Unfortunately it seems that some new schemes in Sheffield still include dangerous cycle facilities. 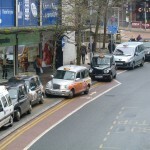 Sheffield City Council needs to do more to protect the existing cycle infrastructure from abuse, even from the organisations we expect to be protecting it. The real crux of Paul’s article is that the government should start investing in cycle training schemes. He states that cycle training helps cyclists to be safe and confident on the roads, that cyclists don’t need to stick to the edge of the road and that using the road in a confident and assertive manner will help to keep you safe. Paul refers to Pedal Ready, an organisation in Sheffield who have trained thousands of people. Pedal Ready do amazing work training cyclists and running rides, they really help cyclists in Sheffield and help to glue all the different parts together (Bike Boost, Dr Bike, Bikeability, commuter training and maintenance classes). Sheffield Council support all of these initiatives and have received funding from the Local Sustainable Transport Fund from central government to help fund them. Ultimately though, I believe that cycle training will only help a few nervous but keen individuals to cycle in a hostile environment, the 4/5% of people willing to get on a bike and who only need a gentle nudge in the right direction. It’s not something which scales to support the entire population in cycling for a significant proportion of all journeys. To achieve this requires cycling to be an efficient and safe means of transport. Changing the streets to increase subjective safety and give cyclists more direct routes is the way to achieve this. With the legacy of badly designed roads and junctions in the UK cyclists need to know how to cycle safely to avoid incidents, this seems to be an unfortunate reality of where we are. To illustrate this, we’ll look at some of the key cycle training lessons that are taught in cycle training. Cyclists are taught that cycle paths/lanes are not necessarily the safest places to cycle. It is ironic that cyclists need to be taught that infrastructure specifically designed for them can be more dangerous to use than the normal road. Cycle infrastructure in the UK can sometimes be worse than the road alternatives. Councils like to install bollards to prevent car parking, give no priority over side roads, narrow lanes shared with pedestrians, poor maintenance and bad lines of sight. For cycling to become popular, the facilities designed for cyclists need to both keep cyclists safe and meet the needs of those using them. We shouldn’t need to train cyclists to avoid badly designed infrastructure. We should design good infrastructure that needs no training to use. Cyclists are taught that in some situations they must take a primary position (‘taking the lane’ or ‘riding assertively’) to keep themselves safe. It means that cyclists are visible to the traffic, overtaking drivers are less likely to squeeze past and cyclists can avoid obstacles. Some examples are when passing through a narrow restriction, or when approaching a roundabout. Again, this is teaching cyclists to avoid badly designed infrastructure. Teaching people to move into the centre of the lane to block traffic behind you is difficult. If cyclists need to perform this maneuver then the design of the infrastructure has failed them. 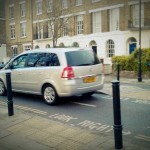 This aligns with both position and use of cycle facilities. Often cycle paths/lanes are placed in the door zone, the area in which you will be knocked off your bicycle if a car door opens, perhaps under the wheels of oncoming traffic. If we need to teach cyclists that parking has been placed without enough room for them to use the road normally, then the design of the parking needs to be improved. If we need to teach cyclists not to use a cycle lane because a car door opening could knock them off then that cycle lane has been badly designed. It is possible to design our roads to be safe, it just takes a little care. The take away message from this section is this. Move into primary position otherwise drivers will left hook you and you won’t be seen by emerging vehicles. There is a problem here, if the cyclist isn’t blocking the driver from doing something stupid then they are putting themselves in danger. The correct response of course is that drivers should take care around vulnerable road users, but we know that this doesn’t always happen. The video below was shot on a National Cycle Network route in Sheffield. T o me, teaching cyclists that to safely cycle a roundabout requires you to be in a primary vehicular position shows a failure of the design. 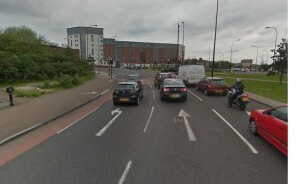 There is a newly constructed roundabout in Sheffield which has cycle lanes and advance stop lines, however unless you’re turning left these cycle lanes put you in a very dangerous position where you will be crossing all exit lanes. The designers have either assumed that cyclists don’t need to go straight on or turn right, or have given up trying to design a safe cycle provision for doing so. Sometimes drivers scare cyclists through no fault of their own. The driver is in a rush, they think the cyclist shouldn’t be on the road, they think they should be further to the left. These drivers are a real problem to cyclists and often a single interaction with one will put a cyclist off for good. The law doesn’t seem to be on our side in these instances, bad driving is given only a very light touch by the police if there was no collision. The incident below was filmed last summer while I was on holiday camping, the police didn’t contact the driver because he’s not been reported before. Incidents like this (even if they are rare) need to be stopped to prevent all but the most suborn cyclists from giving up. In summary, cycle training will only get people in key cycling demographics cycling. We need a more joined up approach with more respect for cyclists on the road, better provision for cyclists and a fundamental rethink in the way we design the roads and junctions in our villages, towns and cities. 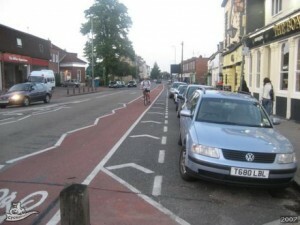 This entry was posted in cycling, infrastructure on December 20, 2012 by Matt. I thought your second video, on Green Lane, effectively contradicted your argument. I don’t know whether you’ve had any bikeability training (I haven’t) but I understand one of the principles is that you try to anticipate what other road users are going to do. Left hooks are very common so you should expect that to happen at a junction and be ready to take appropriate action. Likewise, if the driver had had cycle training he would have been more aware of you as a cyclist and would have been able to correctly estimate the speed you were going at and drive accordingly. (Non-cycling drivers common under-estimate the speed of cyclists) . That’s why we need cycle training for everyone. The title of your post exhibits one of the dangers of blogging. Cycle training isn’t the solution, neither is any other single measure by itself – because there isn’t “a” solution – we need a range of measures working together. 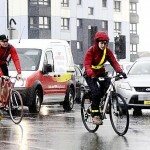 At the moment, when there is very little money for sustainable transport, politicians can turn round and say “we can’t do anything for cyclists because it need high-quality infrastructure that we can’t afford” Cycle training is a cheap and very cost-effective measure that can make the roads safer for everyone. I agree, what I did on Green Lane by not taking a primary position on approach to a side junction (where I was going straight on) is not good cycling, especially here. And following the driver to have a moan, I always regret it but still do it. To negotiate this part of our National Cycle network safely requires cycle training 🙁 I wish it was safer, but this road is used as a rat run by drivers avoiding the adjacent inner ring road. I believe that cycle training is only needed because of poor infrastructure design and teaches cyclists how to spot the dangers inherent in our road system. I now take primary position through here and ignore the occasional toots from drivers behind. I’ve been thinking about some of the comments I’ve had on the title, and how its a bit misleading. 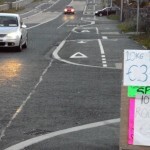 Perhaps a better one would be, “Cycle Training – The best solution for bad infrastructure”! I think this is a more accurate representation of what I’m trying to get across.